Sorry for being so tardy again on posting. I’m putting lots of extra time in at work and correspondingly have gotten way behind on my extracurricular hobbies such as blogging as well as reading. Things should slow down in November when the office gets their new supervisor and I can stop filling in where I can. …but I didn’t forget that today is the middle of the month and therefore present another long forgotten pulp story of the Foreign Legion. This one appeared in the October, 1929, issue of Frontier Stories. 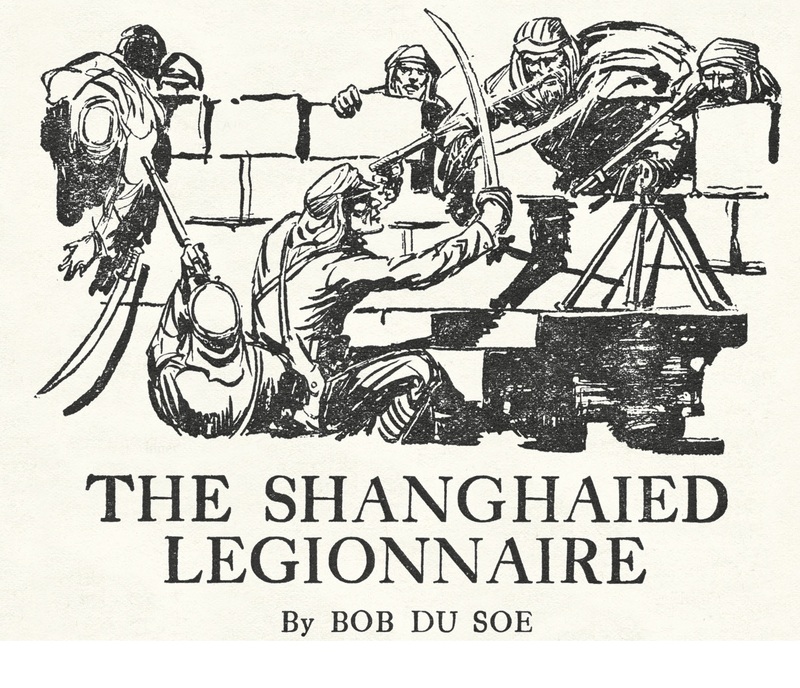 The author is Bob Du Soe (Robert Colman du Soe). Fictionmags Index‘s thumbnail biography says that Du Soe (1892-1958) was “born in Los Angeles; educated at Columbia University; newspaperman on the Hawaiian Islands; naval aviator in WWI and contributed fiction to numerous magazines“. 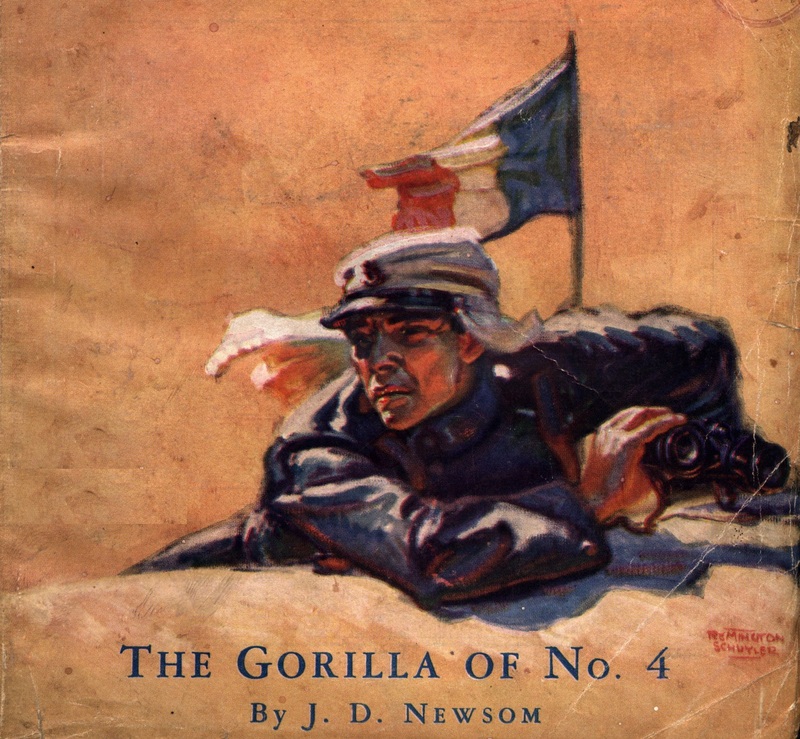 His specialty genre was adventure and so he wrote many Foreign Legion stories as well as all sorts of military, nautical, exploration, historical pieces and even a western or two. 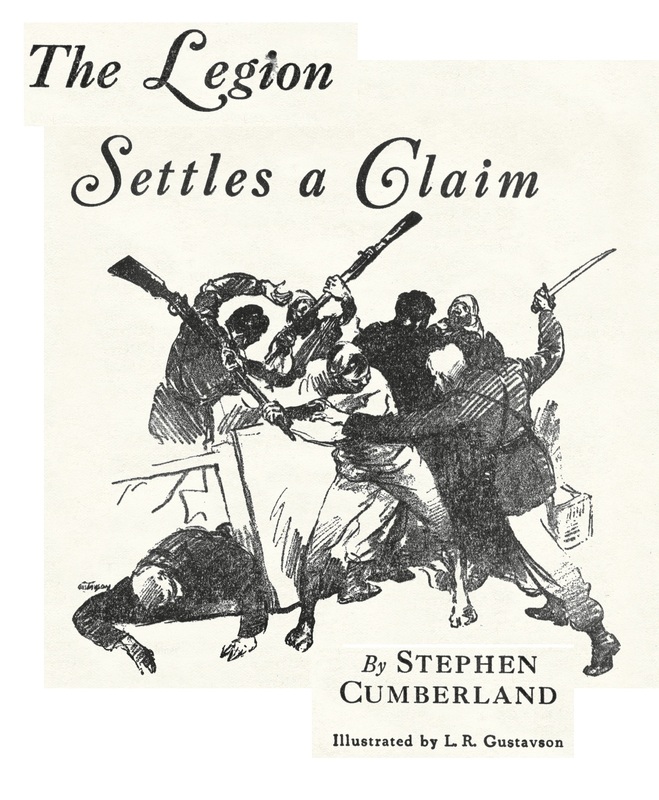 His Legion tales are well done but do not come across as rich in authentic detail as those written by Georges Surdez or Robert Carse. Bob Du Soe clearly opts for more action over character development which is exactly what the readers wanted to see in their pulps. This is one of his longer stories at 32 pages. I came across a very interesting photo album on Flickr the other day. It appears the State Archives of North Carolina digitized 108 photographs from the Kiffin Y. Rockwell Papers that is part of their WWI Collection. They were recently uploaded to Flickr this August. 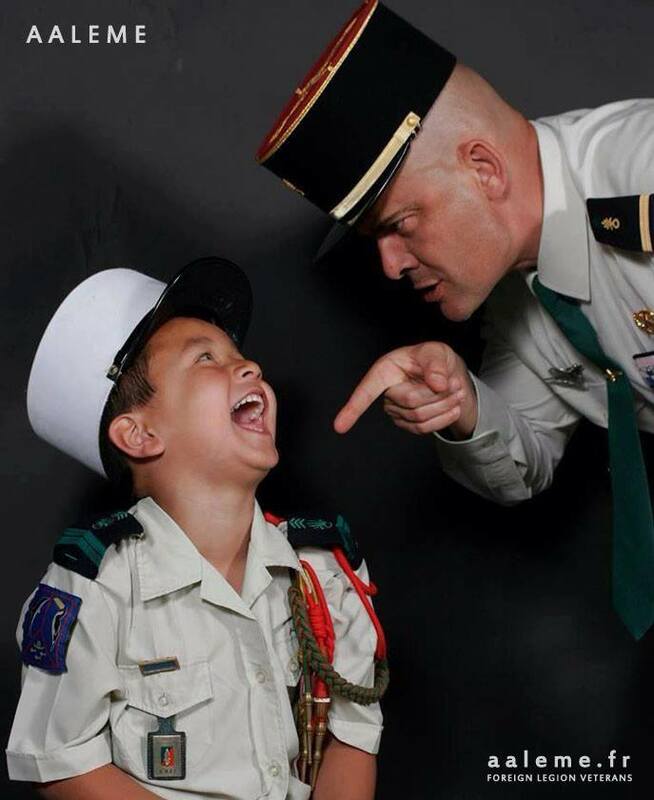 Rockwell is one of the more famous American volunteers who entered Foreign Legion, along with his brother Paul, on 02 October, 1914. Both were wounded at the front and sent to convalesce in Paris. 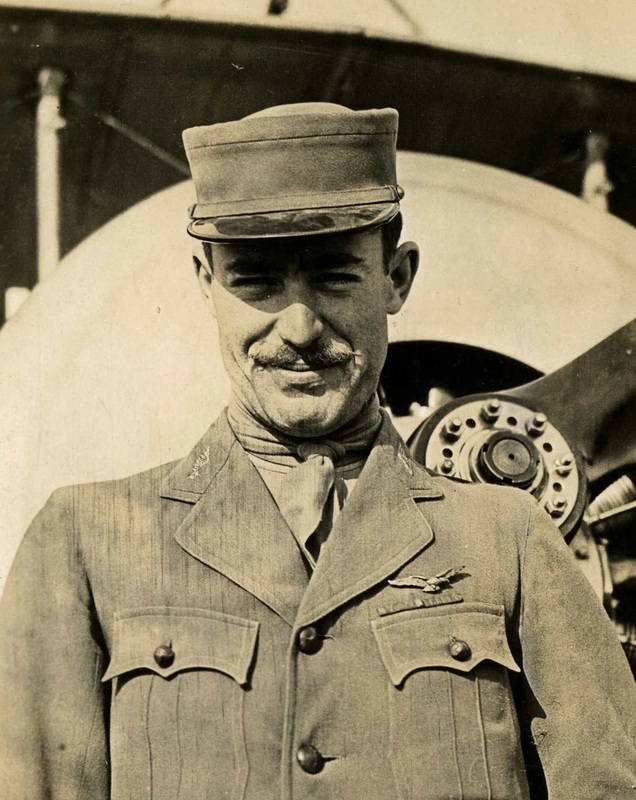 Paul was mustered out of active service and became a war reporter but Kiffen, after five months with the 1st Foreign Regiment, was able to finagle a transfer to an aviation squadron that would later become the Lafayette Escadrille. On September 23, 1916 Kiffen Rockwell was killed in combat–shot down while flying over the trenches. This album contains many pictures of Rockwell’s time spent in Battalion C, 2nd Marching Regiment, of the Second Foreign Regiment of the Foreign Legion in addition to his aviation activities and recovery period in Paris. Many of the photographs have informative captions that tell the location, names of people and what is happening in the scene. I have only seen one of these pictures before and am thrilled to see more forgotten treasures surface from the musty archives of universities. Below are several samples I pulled from the album. You can download the entire 108 pictures by clicking on the little down arrow under the title of the album. Note: There is a Paul Ayres Rockwell collection at the National Aerospace Museum but this appears to remain not digitized however they did provide the photograph above which is not part of the Flickr album. 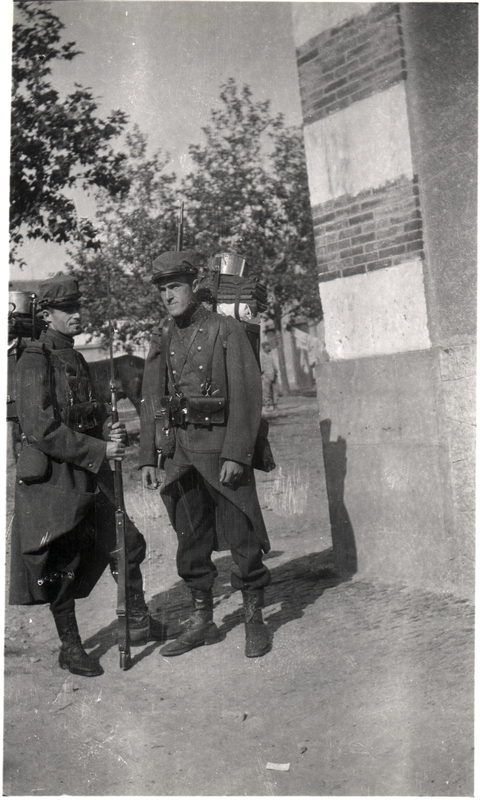 It shows both Rockwell brothers in French uniform. 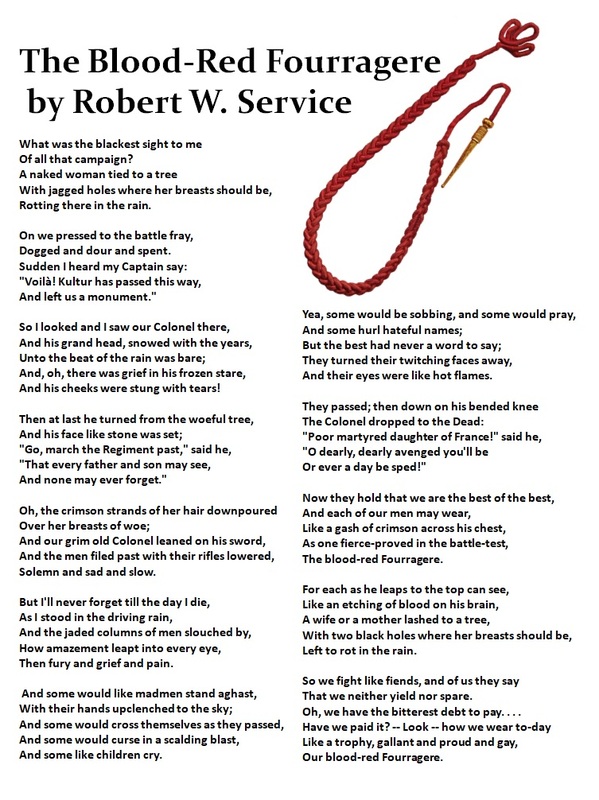 Here a couple of more poems of the Foreign Legion written by Robert Service. I found the first two in the archived issues of the Canadian publication – MacLean’s Magazine and thought they needed posting since they are illustrated two-page spreads. 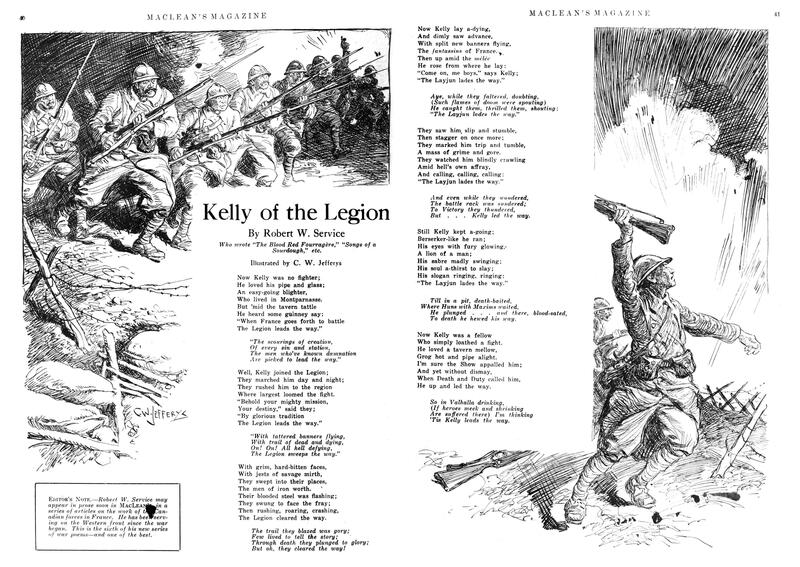 Kelly of the Legion was posted on this blog previously. 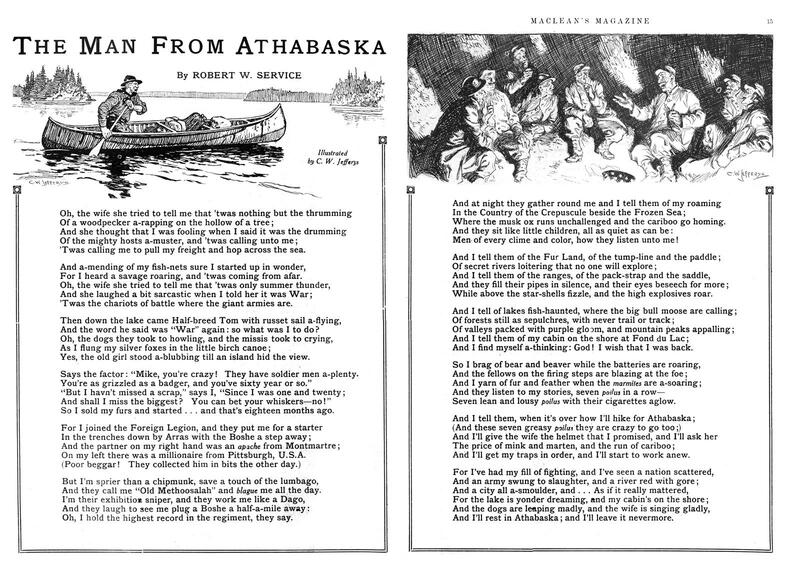 I liked The Man from Athabasca and can readily imagine the almost painful longing for the northern woods a Canadian volunteer might have after several months in the bloody trenches of France. The Blood-Red Fourragere graphic below is one I improvised on and appeared in Service’s Ballads of a Bohemian published in 1921. This novelette is from the 15 June 1931 issue of Adventure. 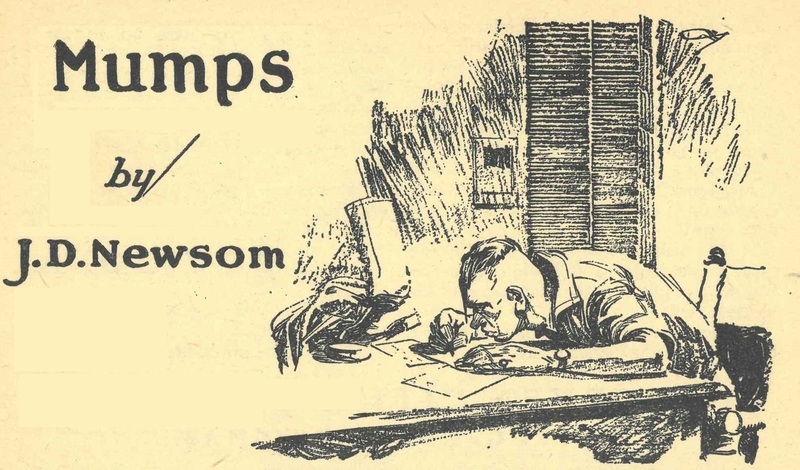 J. D. Newsom is the author and he again presents a fish-out-of-water story. 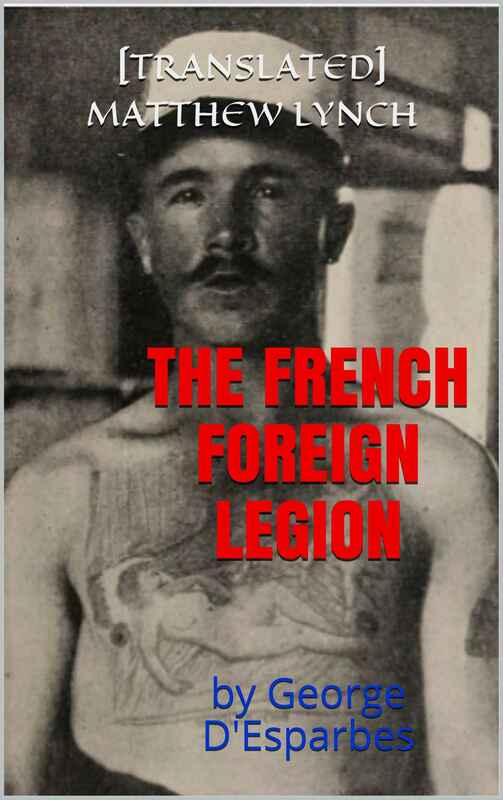 …an outsider who finds himself in the Foreign Legion and must cope with his unfortunate situation. This usually means his immediate goal is to get out of the Legion and somehow return to his previous position in life. However, in many cases the Legion becomes something bigger in their lives and their initial hatred of their new home gives way to camaraderie, esprit de’corps, and sense of solemn duty. In this case it is Mr. John Forbes-Smith who is somewhat shanghaied off the streets of Paris into the Foreign Legion in a case of misbegotten identity. The first several pages are very well done and somewhat foreshadows what will happen to the out of shape, sickly, browbeaten and subjugated, sad sack of a protagonist. I thought I saw where this story was going but the author added a twist and sent “Legionnaire J. Smith” into the fray where, in a suicidal act of bravery he earns the red ribbon of the Legion of Honor and more importantly gains an amazing amount of self confidence. Thanks to the original scanner -“sas”. Cuffy–you need to keep your blog updated. Do you hear me? Well, summer is about over for me–at least for all the home landscape and garden projects, travel and vacations, the visiting relatives and general busy work that needed to be done in the good weather. It’s time for some relaxation and some attention paid to this blog that I’ve neglected for too long. So here is a compilation of randomness that I came across so far this summer. 1. 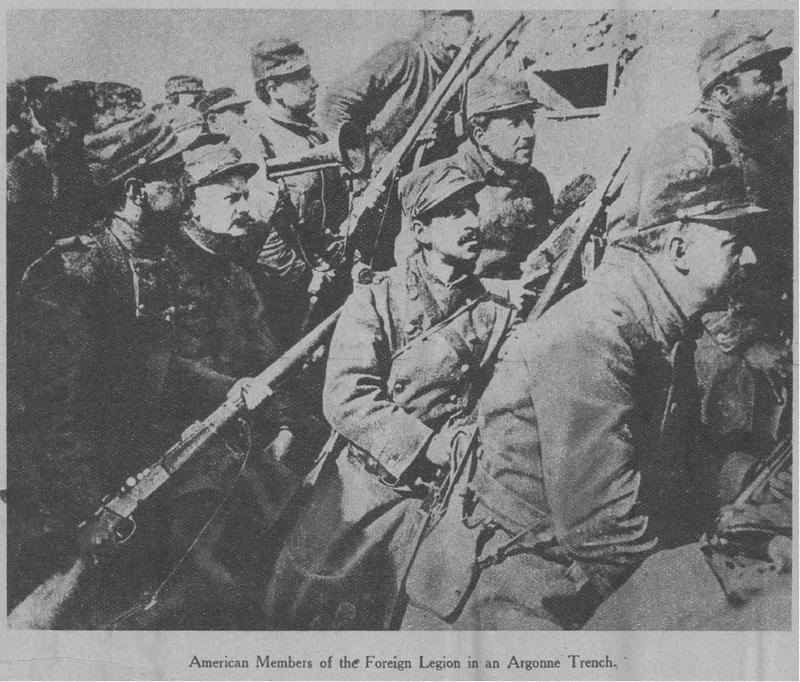 Americans in the French Foreign Legion 1914-1918. This page has a pretty good list of the American volunteers who showed up to fight for France in WWI. Being from a different country the majority of these men were placed in the Foreign Legion along with other foreign volunteers from England, Italy, Spain and dozens of other countries. There are about 175 names here and some have been further identified as having went from the Legion to the Air Service (including the Lafayette Espadrille) or the Ambulance Service (where foreign units were allowed to be formed and operate on the front lines). I would like to one day compare this list to the names mentioned in this book by Paul Rockwell. 2. Beau Geste: Algerian Tuareg Revolt – BATTLE SET. It seems that there is a new product by Italeri (one of the better model makers of 1:72 scale miniatures). 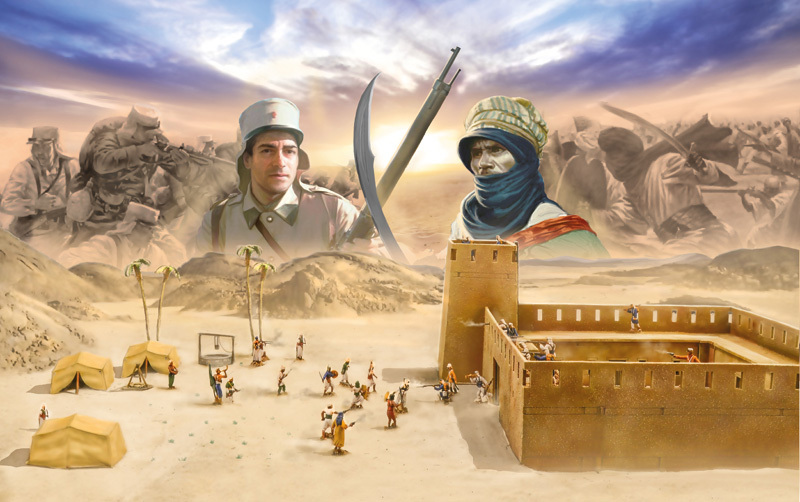 This item features a laser cut desert fort packaged with 150 figures (50 Legion and 100 Arab), and several terrain items (3x tents and a well). The fort seems to be comprised of six thin sheets of laser cut board (not sure if it is wood or cardboard) that comes together into eight separate parts of the fort. These eight pieces are then connected to form the full structure. Nice to see something new in this scale again from one of my favorite model makers. 3. Lead Adventure Forum: This is one of my favorite boards on miniatures and this thread has been active lately discussing miniatures and related information for both a Dahomey and Madagascar campaign. You will see several prototype miniature sculpts from Gringo40s for a line of “opposing forces” that might square off against the Foreign Legion. There is a similar informative thread that covers the French Tonkin campaign with sculpts of various Black Flag pirates of the late 1800’s. Early French Indochina in general as well as Dahomey and Madagascar are not well represented in the wargame world so these contributions are very welcome. 4. Some Legion YouTube Videos. Here are a couple of recent videos to be found on YouTube. The first one, “Les coulisses du 14 juillet 2018“, is from the recent Bastille Day march down the Champs-Élysées and shows the Legion contingent preparing for their march. Here is a link to the entire parade (the Legion appears around 1:35:13). The second video is the first part of four videos showing the “Cérémonie de remise des képis blancs” where new recruits are officially inducted into the ranks of the French Foreign Legion. Parts 2, 3, 4, are also available. 5. 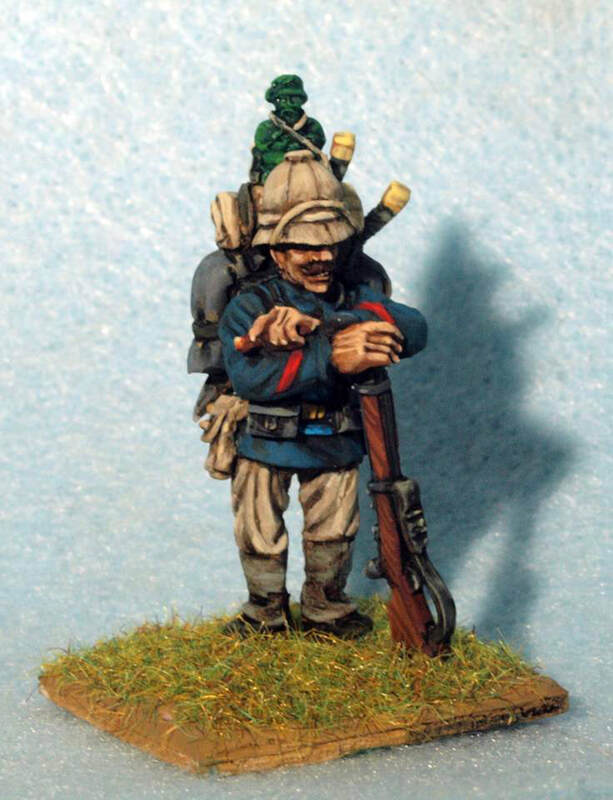 The French Foreign Legion by George D’Esparbes. This book was originally published in 1901 and was meant to provide the readers with insights into the mysteries of this famed corps. The author, then a Lieutenant, spent a month with the Foreign Legion in Sidi Bel Abbes and apparently learned enough to fill a book. Until recently this book was only available in French but there is now a translated-into-English version available via Amazon in both Kindle (.99 cents) and paperback. Be warned however that D’Esparbes is prone to sensationalize quite a bit of his observances. In any case thanks to Matthew Lynch for translating this book and making it so affordable. 6. John Robb. John Robb (1917-1993) was a British WWII veteran and later journalist and author who wrote several fiction books in the mid-1950’s that featured the adventure, drama and heroics of the contemporary Foreign Legion. They were not pulp fiction but most certainly could have been marketed as such a couple of decades earlier. I noticed that some of his books are now available on Amazon for Kindle or paperback. The books on Amazon that feature the Foreign Legion are Storm Evil (1954), Mission of Mercy (1954), Zone Zero (1954), I Shall Avenge (1954). Other titles he wrote include We – the Condemned, Legionnaire (1953), The Last Deserter, Patrol to Zaruse and Red Radford and the Black Legion (1960). This pulp story comes from the June 1931 issue of The Popular Magazine. 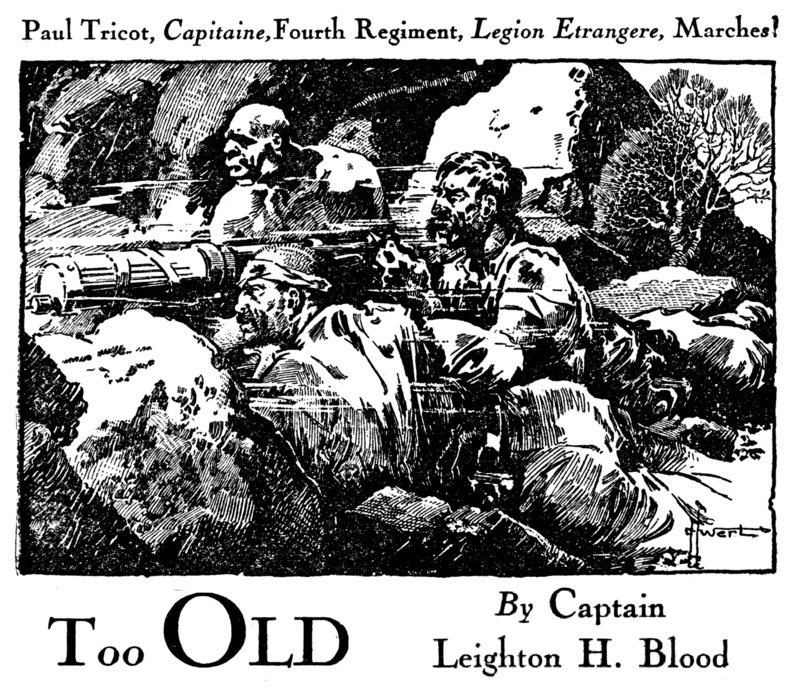 It was written by former soldier turned journalist and fiction writer Captain Leighton H. Blood. In early 1928, Blood was reporting on the still tense situation in the Atlas Mountains of Morocco and spent time with men of the 4th Regiment of the Foreign Legion (4REI). He clearly used this experience in his pulp fiction writing and this story is set in Morocco just north of Taza when the Rif were surging across the border and the desperate French forces depended heavily on the several Foreign Legion battalions to stem their advance. In true pulp fashion, Blood crafted an epic “last stand” tale where the hero, aging Captain Tricot, somehow loses two battalions of the Bat D’Af, a battalion of the Chasseurs d’Afrique, a Zouave battalion, 500 Senegalese infantry and three depleted companies of the Legion. Severely wounded, Captain Tricot is found by the relief force manning a machine gun alongside the one remaining Senegalese and a lone “zephyr“. Three men apparently remaining from a Brigade sized task force of what would have been over 3,500 troops. Wow, thank goodness this is fiction! It is a good story nonetheless with lots of praise given to the “Legion’s Way” of doing things. C’est la Légion! NOTE: Thanks to the original scanner, Richard, who shared this magazine. This post gave me a serious bout of writer’s block and I’m just going to post it now to get it out of the way and move on to other things. The subject matter was far greater than I thought it would be and I went through dozens of revisions until my written narrative grew to several pages. Luckily I stopped this pointless battle of “the perfect vs. the good enough” after reminding myself that I post to a blog and not any academic journal or magazine. So here is the much shortened version. The value of this post is really in the .pdf file posted below. The French first built minor fortifications in Africa when they established trading posts along the continent’s west coast in the 1600’s but it was only when they landed in Algeria in 1831 did they start building a serious, long-lasting colonial infrastructure. 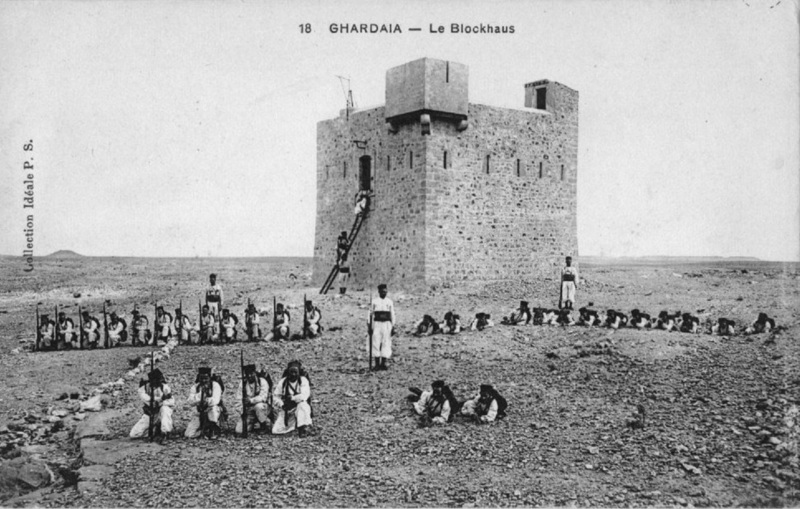 In these early days blockhouses were utilized extensively along lines of communication in Algeria and were often long-standing structures built from local rock, improvised adobe bricks or in some cases on existing native structures. As the French spilled out from the coastal cities they were still vulnerable to attacks from mountain tribesmen so they fortified many cities and garrisoned French and loyal native troops behind walled sections or redoubts. Sidi Bel Abbes, the former headquarters of the Foreign Legion, is a perfect example of a city that grew up at first within the garrison walls of a French Army camp and then rapidly expanded around the military portions. 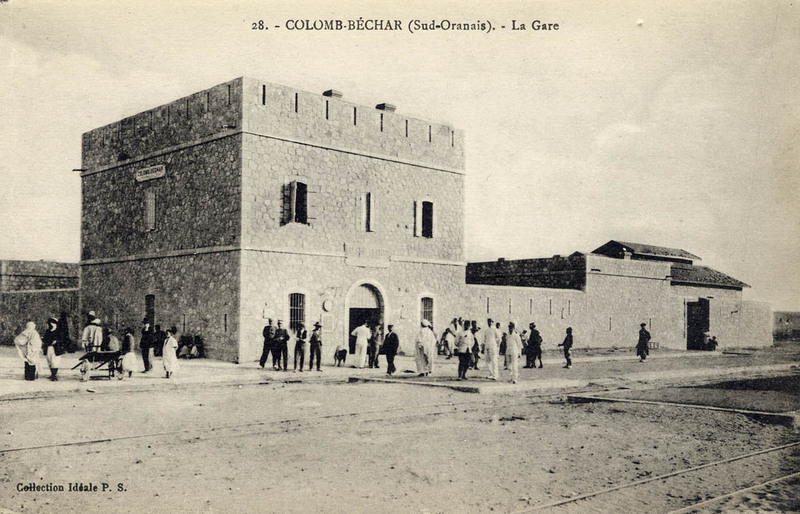 Other garrison cities include Batna, Biskra, Ain Sefra, Colomb-Bechar, and several others including Saïda, the home of the 2nd Foreign Legion Regiment. The desert terrain that exists just south of the northern coastal area (the bled) has always lacked enough water, forage, agriculture, roads, population and combustible fuel to support large numbers of troops. Very extended distances existed between those populated areas that could support military garrisons. Because of this inhospitable terrain the larger French structures had to be situated near water sources and some base of native population from which they could obtain needed supplies, labor and pack animals. Supply columns would launch out from the larger bases such as Colomb Bechar, Beni Abbes, Figuig (Beni Ounif), Ain Sefra and later Bou Denib, Tindouf and Fort Tinquet. These columns would push forward much needed water, food, ammunition and other supplies to the forward elements of the French military that were slowly encroaching across the ill-defined Moroccan – Algerian border. Signal Post (Poste Optique). 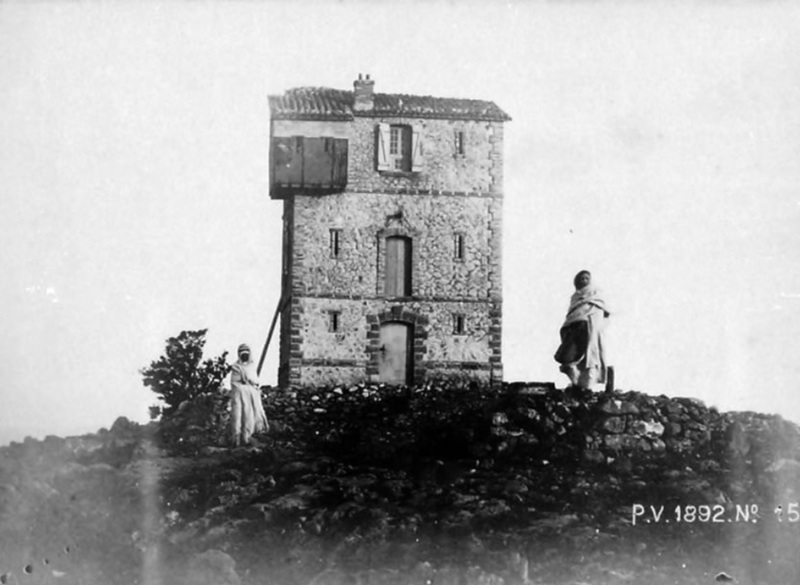 The smaller blockhouses such as the one depicted below would were built as Line-0f-Sight signal towers (called Poste Optique) and were equipped with modern optical signaling devices. 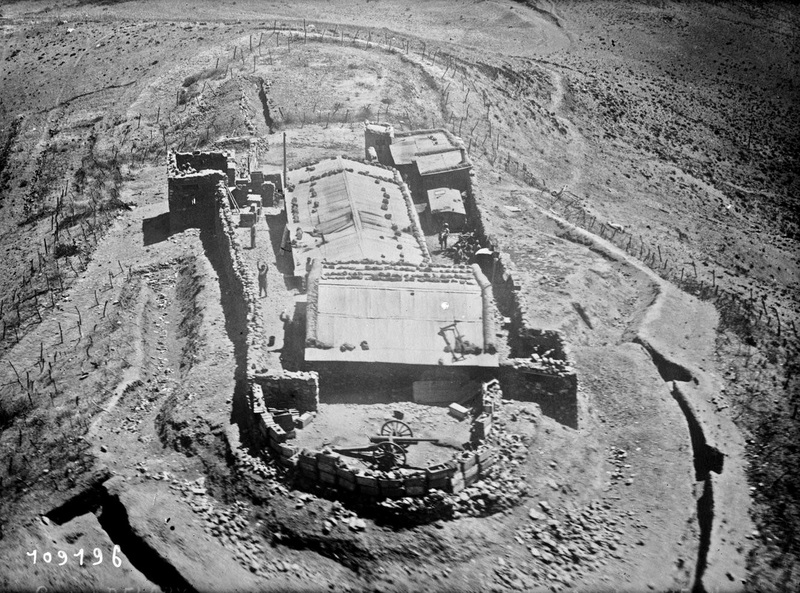 These structures had to be built defensively only to last a short-lived attack as they were usually within close proximity of a relief force from a larger fort. Nevertheless, some are very well built and have withstood both attack and time. 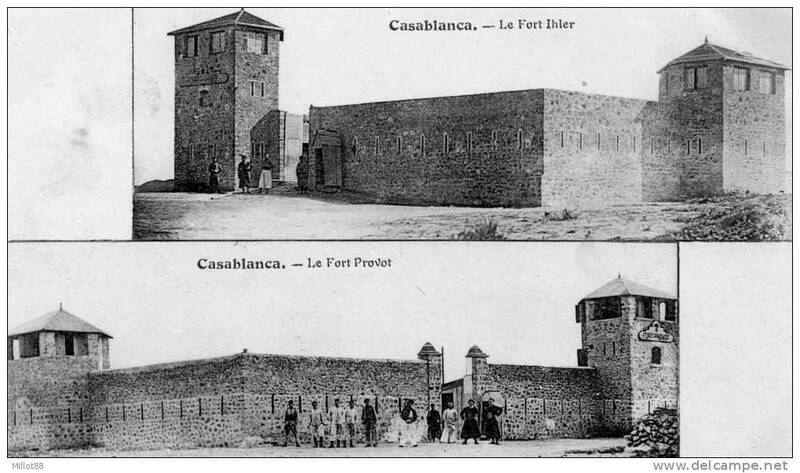 Many of the larger French forts in North Africa were built with a couple of towers that were essentially blockhouses and signal towers and provided fall back points of defense in case the rest of the position was overrun. Bordj. 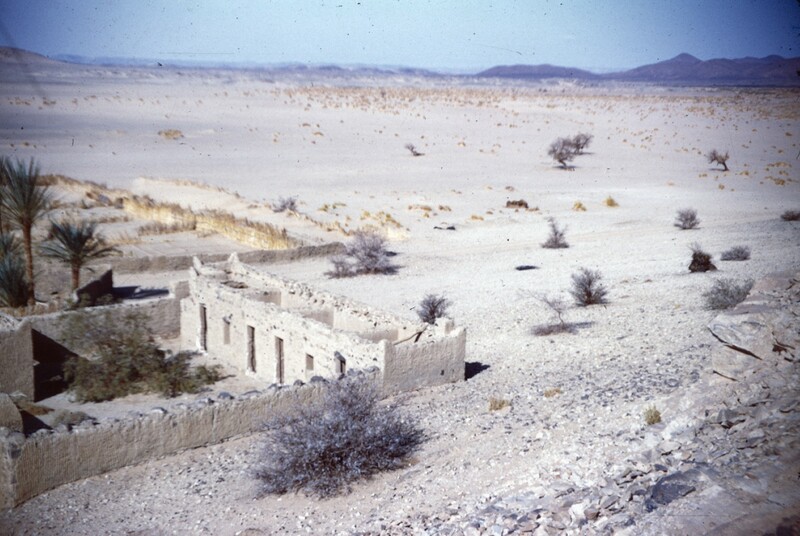 A Bordj was most often a native structure that was built along old Saharan Caravan routes and functioned much like the caravanserai did along the Silk Road. These were often militarized and occupied by French troops and provided a small measure of security, water and safe rest to French supply convoys and patrolling columns. These were often no more than four walls with a gate and a holding area for the camels. Bordjs in the southern areas of Algeria, Morocco and French West Africa (Mauritania) were often constructed along travel routes which parallel watersheds such as the Oued Zouzfana and the Oued Guir. Fortified Train Station. (Gare Fortife). As the French slowly pushed their railroad (Algerian Western Railway) further southwest to the Moroccan border they became worried that stations along the route were vulnerable to attack. Therefore many of the new stations were constructed with sturdy brick walls, watch towers, firing ports, and crenelations. Area Security. 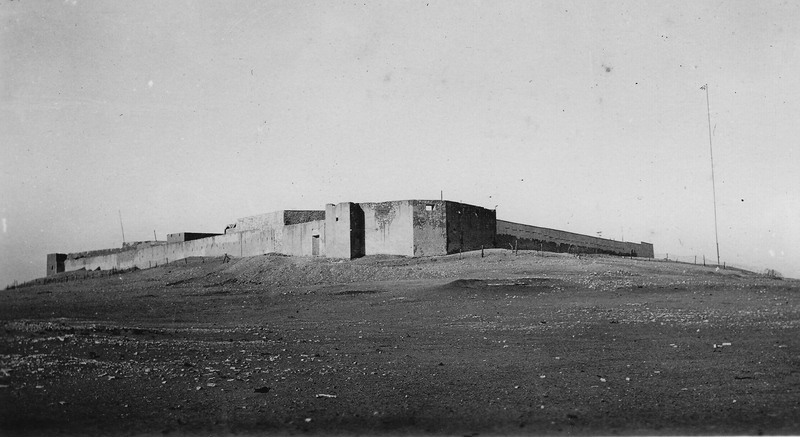 It was not uncommon for larger forts/bases to have several smaller positions (blockhouses and signal towers) posted on surrounding key terrain. The larger posts were responsible for manning and provisioning. These fortifications provided for static defense in a pacified area. Blockhouses were also essential to supporting active offensive and defensive operations. When France landed in Morocco to pacify an uprising in Casablanca (they pretty much never left) and consolidated their gains by extending out from that city and established several forts around their occupied territory. Blockhouses were built along roads to keep their mobile forces supplied. 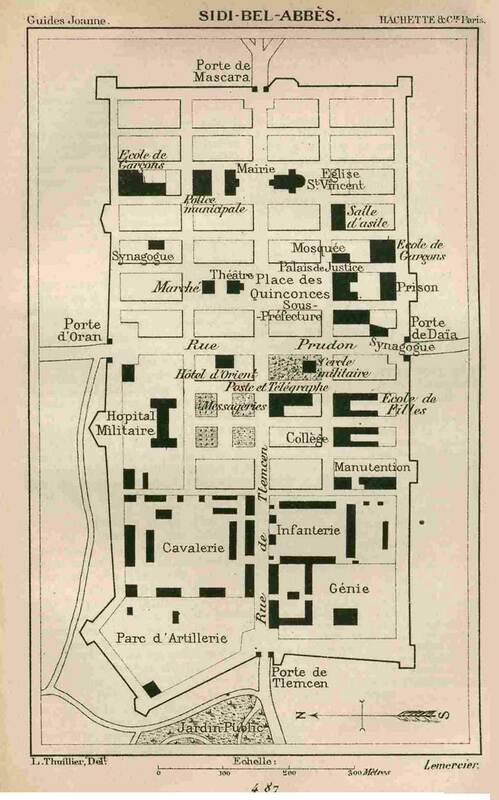 Outside of Casablanca one would find the small forts Fort Provot and Fort Ihler. During the 1920’s, when the Rif insurrection in Spanish Morocco threatened French held Morocco to the south, a line of blockhouses was built along a series of mountains just below the Spanish border. These forts were more hastily constructed affairs manned by a platoon sized force and located within line of sight of each other (see picture below).